Boosting cellular signals with 2X more power than the closest competitor, Fusion2Go 3.0 is the go-to solution for fleets and Emergency Responders who need access to reliable talk, text and 4G LTE data signals in extremely rural areas. More than double the uplink power of the competition. Highest output power on the market maintains connectivity when far from the cell tower. Delivers best performance for resource workers and fleet drivers who work, live or resort at the edge of the network. *Independent Tests Prove 2X More Power. CKC Labs performed extensive third-party testing and determined that the Fusion2Go 3.0 has 3-4 dBm more uplink power than the closest competitor. In other words, Fusion2Go 3.0 is the most powerful vehicle booster in North America - offering better rural coverage and faster data when compared directly to competition's top-end offering. Powerful Vehicular Cellular Antenna For Remote Locations. Fusion2Go 3.0 kits now come equipped with the NEW SC-208W mag-mount antenna. This slightly taller antenna has a narrower base and a higher gain, as requested by our partners. It also includes a longer length of low-loss RG-305 cable (12.5 ft). Why is it called the new champian of the roads? 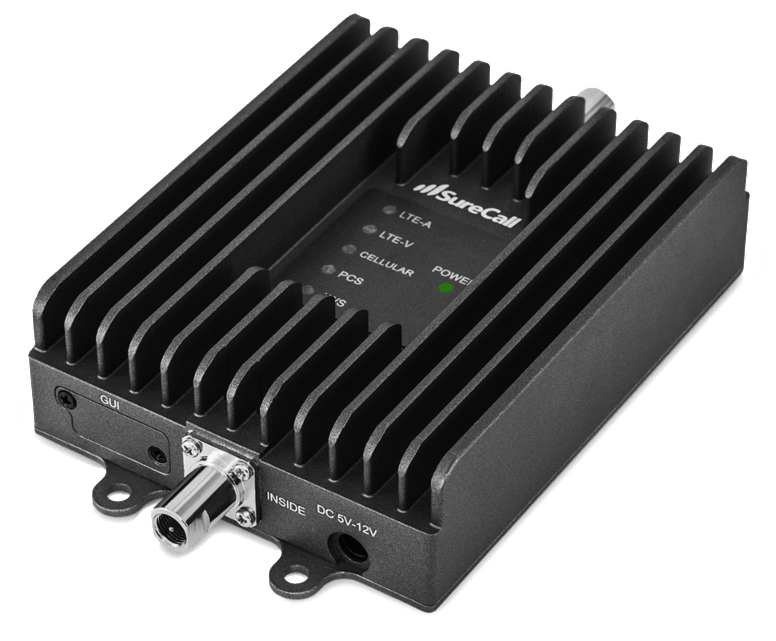 It is the newest generation to a line of in-vehicle signal boosters that is purpose-built for those who frequent the fringe of the mobile network. Leading in reliability and performance, it is securing the trust of oil and gas, public safety, government, forestry, and many other industries and mission critical applications. Third party tests between the SureCall Fusion2Go 3.0 and the leading competitor's best vehicle booster have found Fusion2Go 3.0 to have 2X more output power and significantly faster data speeds*, providing multiple simultaneous users with reliable access to calling, text, and mobile data even further from the tower. Why is it almost a necessity? Not having cell service can prove dangerous, especially on long road trips - either in case of a vehicle mechanical problem or a health emergency with no other way to summon help. Every little extra bit of cellular reception power can go a long way and can truly be a lifesaver. For a one time cost starting at $399.99 to buy this affordable cell phone signal booster kit, it is a great value in the sense that it will help you make the most of, or take full advantage of the monthly fee you're already paying for your cell phone service from your carrier such as Verizon, AT&T, T-Mobile, or Sprint. Since you're already probably paying $50 to $100 per month for wireless phone service, this signal booster equipment purchase will pay for itself because you will be better able to use your cellphone service all the time instead of being unable to call at times, or not be able to use mobile Internet because of too few, or no bars showing on antenna signal meter. In addition to ensuring cell service during an emergency, this is another reason why it may be worth the one-time cost for you. Typically the reason calls drop or never connect, texts go unsent, and data fails in areas on the extreme fringe of the mobile network stems from your phone not having enough power to send a signal back to the nearest tower. The SureCall Fusion2Go 3.0 has the 2X more output power* to keep you connected even further into the cellular void. When transferring mobile data within emails, images, applications, etc., users need a high-quality amplifier with a lower downlink ripple and error vector magnitude (EVM). The SureCall Fusion2Go 3.0 outperformed the nearest competition* by more quickly and reliably sending and receiving mobile data in tough-to-reach areas. ALL CARRIERS. ALL SIGNALS. ALWAYS COVERED. 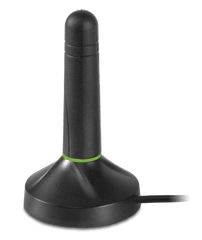 SureCall Fusion2Go 3.0 works with every mobile network in North America and, once installed, fleets are reliably connected with the most powerful vehicle booster on the market. SureCall stands by the performance and quality of the Fusion2Go 3.0. All SureCall products are supported with the industry's best 3-year warranty and SignalBooster.com's generous 60 days exchange or return for refund policy. Someone asked me about cell phone boosters for cars because they keep getting dropped calls. They asked me if it’s the phone and I said it’s probably the area they go through. However, I saw on this site that there are ways to test your signal to see if it’s your phone or the area you’re driving through (getting weak or no signals). It reminds me about what I read elsewhere here about getting the best phone boosters for people who live in rural areas. If it’s the area you’re in, you may need a booster. However, be sure to check the signal to see if it’s the signal or the phone as you don’t want to buy a booster for no reason. I don’t know if these are something everyone needs but I’m always running into problems with my cell phone when I’m in my car. Reception is poor even when the phone is fully charged and worse, I get dropped calls. I drive a lot so I need a reliable phone. It’s not my phone either since I’ve had the problem with another phone. I don’t need a cell phone booster for my home but I’d like to know what’s the best cell phone booster for my car. I know there are reviews but I like user comments too.